In addition to performing the necessary steps to completing each home or building inspection, the inspection also includes a visual assessment of the property to determine if there are any mold or water damage concerns. 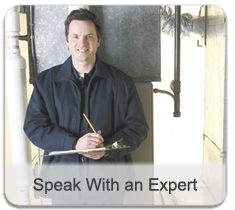 Our home inspections ensure any area of concern is identified and noted to have the proper repairs performed. It is important to check and verify the life safety and health concerns in your residence or building. Many accidents and catastrophes can be avoided by being aware of and repairing any problem areas. Our inspections include a comprehensive check of the entire property. It is important to check and verify the life safety and health concerns in your place of business, storage, production, or other means. Many workplace accidents can be avoided by being aware of problem areas and making the necessary repairs or changes. When we do a commercial inspection we do a comprehensive check of the entire property and explain to you all areas of concern.